Fall doesn't slow down some pests in our area. In fact, it drives many species indoors to look for food and shelter for the coming winter. It takes preventative measures to keep pests outside where they belong. If you don't act quickly enough, you could end up with an infestation in your home. Pest Control Services has a few pests to look out for as fall enters Idaho this year. Stinkbugs are notorious fall pests, showing up as summer comes to an end. They crawl on most every exterior surface looking for ways inside your home. These pests look for warm places in which to nest through the winter, and your home is the ideal place for them. They come in when you open windows and doors and will sneak through cracks and crevices around your home's exterior. Rodents are seen more often in the fall than in other seasons. They come indoors for shelter when cooler weather moves in and will build nests in attics, basements and other areas of your home. These pests contaminate food and surfaces, leaving behind feces, bacteria and viruses as they travel indoors. They also chew through walls and wires and create costly damage in a short time. Ants also come indoors during the fall to search for food and water. Some ant species will stay indoors and create a colony in random places such as behind baseboards and inside kitchen cabinets. Odorous house ants and pavement ants are two common species that you might encounter during the fall. If you see one or two ants on the counter or the floor, it won't be long until you see more showing up inside your home. Pests don't always disappear when the weather turns colder. Sometimes they show up inside your home and invade your living and sleeping areas, making your life miserable throughout the fall and the long winter. 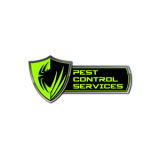 Contact Pest Control Services for a free estimate and to schedule an inspection with our trained pest management technicians. We'll inspect your home for pests, eliminate the infestation and provide recurring services to keep out nuisance insects and rodents from season to season.